Discussion in '5th Gen 4Runners (2010+)' started by Leejamek, Jun 13, 2018. I assumed that the rear window key fob roll down function was standard. I had it on my 2003 SR5. I was shocked to find out that the ‘18 i purchased did not have the ability. A friend of mine purchased a trail edition a few weeks ago and he has it on his. What do you guys think? See if the dealer can add this function onto my vehicle? Any other options i’m Not thinking of? 2nd question: in previous years, key fobs could be reprogrammed to roll down all windows (minus rear) by clicking unlock and then holding it down. Does anyone know if this is still viable? It is my understanding that the 5th Gens absolutely cannot roll down the rear window with the key fob remotely- no way to program this, at least if you are using stock Toyota software/hardware. Lots of people (myself included) wish that this feature had not stopped at the 4th Gen. The only way to do it without using the interior switch is to physically stick the key in the latch and turn right or left to roll window down/up (and lock/unlock the doors). The Limited trim has a smart key and an up/down switch, as pictured. Still, no one can remote toggle the rear window. The good news, is that yes, you can program the fob to roll the 4 windows down (as well as roll back the sunroof) by pressing and holding the unlock button. Sticking the key in the door and holding the button will roll everything up. This is deactivated from the factory, but the dealer can plug it in and toggle it on for you. Most will do it for free. You can also ask them to deactivate seatbelt chimes, etc. It's not something you can do on your own. 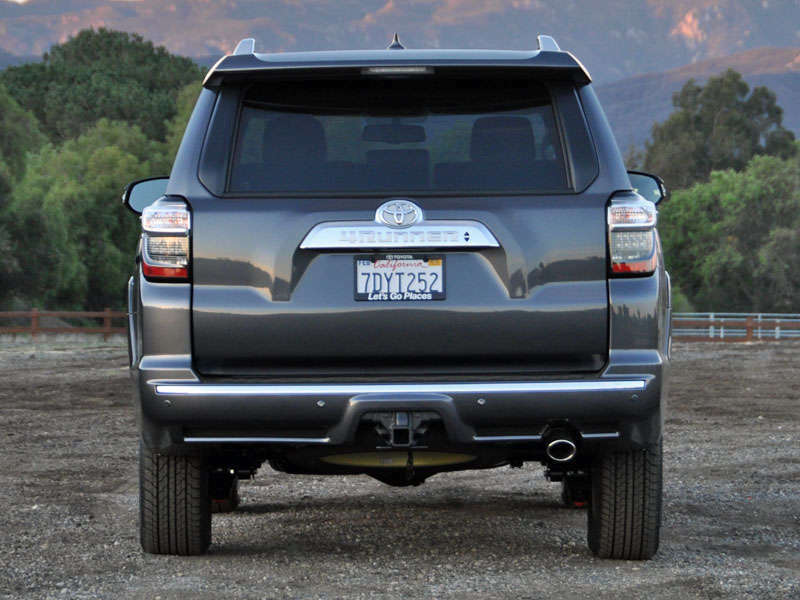 Google "4Runner Techstream" and you should be able to find more info if desired. straitR, GMonk, jr15642 and 3 others like this. Check out https://trail4runner.com/2018/08/16/carista-for-5th-gen-4runner/ Carista. $19.99 off Amazon for the OBDII fob.. 1mo free trial to set up the customizations as you wish. $39.99/year if you want to continue using. Went to my dealer to set key. In and out in a few minutes no charge. I did it with Carista as well. At first the local dealer gave me the runaround and told me "we can't do that, and if we could, we would need to reset the ECU." Then they changed their minds and said they could do it, but it would cost a half hour of labor ($60). I'm a little afraid to get my oil changed there now. Anywho, $20 bucks and ten minutes later, my windows roll down with the fob and the seatbelts no longer chime (great when off-road). Dont blame you they sound shady. I asked my dealer if I should change oil earlier then the 10,000 miles and they said no need. Could have milked me fo double the changes . Did you subscribe or just use it to set and let the free subscription expire? Activated it for a month (included when you buy their dongle) and then killed it. I don't anticipate checking codes or anything. If I need to I'll reactivate.